What forms of taxi advertising do we offer in Cardiff? Full Livery taxis are the most striking form of advertising on taxis. Full livery taxi advertising campaigns are used to generate long-term brand awareness. You create your bespoke design that reflects your brand. Full Livery taxi wraps are produced on vinyl coverings on the whole taxi. Usually, we recommend a 12 month period to maximise the reach for your company, in a non-intrusive form. Superside taxi advertising campaigns frequently run for a short period but have an enormous impact. This kind of Cardiff taxi advertising can be bought in blocks, for example, ten taxis. You get two supersides per taxi, making it twenty supersides for your campaign. When the taxis travel across the city, pedestrians and other motorists on both sides of the road will be able to see your message very clearly. 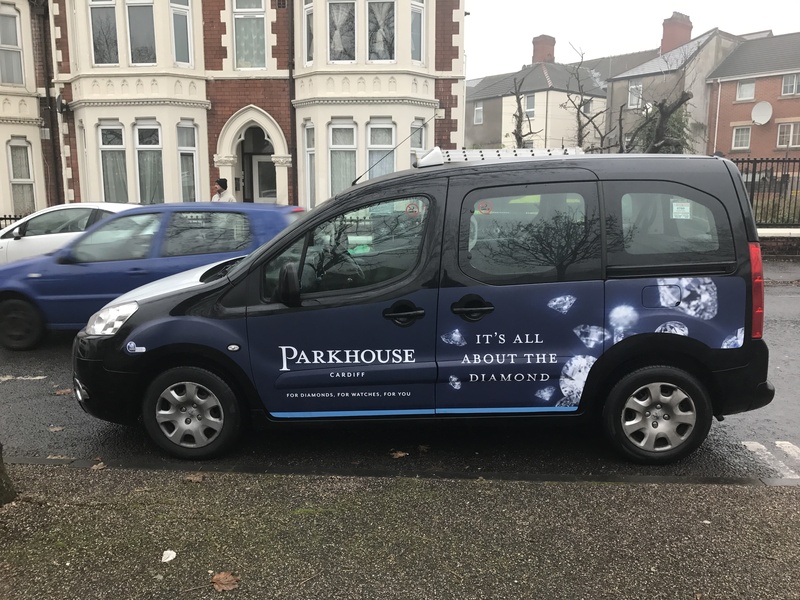 Huge Media consistently manages taxi advertising campaigns and works throughout Cardiff and the rest of the United Kingdom. Please Contact Us today to discuss Taxi Advertising in Cardiff.